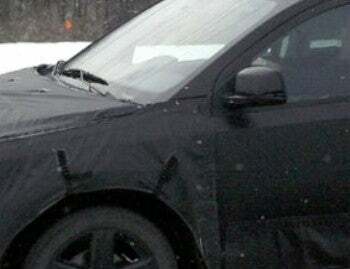 World Car Fans posted more shots of the yet-unnamed Chrysler/Dodge crossover SUV, reportedly set for a 2008 launch. According to spies, it's based on the Sebring platform — for a carlike comportment — and will be sold in Europe. They also say the Chrysler version won't arrive until next decade, as a less stylized replacement for the PT Cruiser. Speculators are also betting on a 3.5-liter V6, though that's probably where the easy money is.